Our keynote speaker Helen Eriksen has a rare talent for storytelling. She is an unpretentious public speaker, who gives participants the necessary tools, will and desire for change. Humour and metaphors play a leading role in her talks, which are often praised for creating clear common frames of reference for the participants. Helen’s talks are characteristically intense, grounded and visionary, with no pointing of fingers. Participants go home with more energy than when they arrived. Their level of wellbeing increases as does an understanding of their own and others’ behaviour. 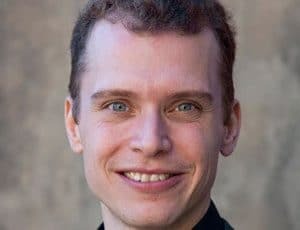 This former sports teacher and development leader wants to make us more aware of psychological interaction and connectedness in our lives, thereby inspiring us to gain a greater sense of meaning in our workday. She believes more meaning to be an important basis for creating greater and sustainable wellbeing. Helen is the author of a series of notable articles and books, most recently “Changes don’t ask for permission, they just turn up”, the first book in the “More meaning” series. In 2002 she published the highly acknowledged ”The fruit-tree strategy – giving while growing” Her talks can be booked in Danish, German and English. 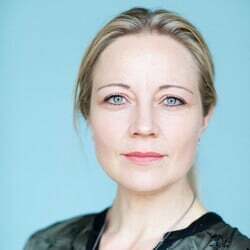 Helen Eriksen’s talks come with lots of space, intensity, her own experience and a rare captivating talent for storytelling, It is a package that really shifts basic assumptions, provokes, shakes up perspectives, and gives new visions and the will to change. That motivates and engages and brings a lot of laughter and tools for future use. As we can see daily on the news and feel in our own bodies, we are at the present time subject to changes at a rate we have never experienced before. In this talk Helen Eriksen takes a positive and constructive look at these changes and shows how employees react to them both individually and in group settings. Helen paints a logical as well as a very human picture of why people react as they typically do when faced with change. When first meeting a new change, a natural but unconscious alarm system is set in motion. We may often regard this alarm-reaction in a negative light. But an alarm-reaction to a change is actually quite natural. By opening up this knowledge and giving the participants a common frame of reference, they gain – both individually and collectively – entirely new possibilities when faced with change, to act in a forward-thinking, different and more constructive way. This gives the participants a boost of energy, and it has been proved many times that the ability of employees to manage change in a positive way can be measured directly by the level of wellbeing and job satisfaction. According to Helen, changes are a life condition. So the goal must be to gain as much positivity as possible from the fact that we will always be faced with changes, and that these are a condition and not a problem – unless we turn them into a problem. She enables the participants to recognize that nothing remains as it once was. If only employees and employers could recognize this, then change would rarely be a problem. On the contrary, it is the danger of not renewing oneself, and thereby doing more of the same that is our biggest challenge. Without any finger-pointing she gives clear directions on what the individual employee can do to best prepare for change. Our attitudes have often developed against a backdrop of basic assumptions about how reality looks: in other words our individual world view. Typically this leads to the rule, ”When there are a lot of us with the same opinion, that’s probably how it is”. According to Helen Eriksen this is often an illusion, and once it is removed a whole host of possibilities open up..
Job satisfaction – what’s that all about? For many years Helen Eriksen has focused on creating the greatest possible meaning for employees and employers – both as members of staff and as human beings. Helen has a great belief in the idea that we as human beings must give while we grow. This means it isn’t enough to go to work just in order to give to the workplace and receive one’s salary. The workplace must never become a place where we go to be drained. The workplace must contribute to our growth as human beings. During the talk Helen focuses on what the employee and workplace can do in concrete terms so that increasingly employees can leave work with the same – or even higher – level of energy as when they arrived. Many employees come home to their children and partner like a wrung-out dishcloth, tired and out of sorts, which doesn’t contribute to an enjoyable and rewarding evening for the family. Inspired by the latest research and many years of dedicated practical experience in the field, Helen Eriksen talks humorously about which down-to-earth meaningful factors in the individual, between people, management-wise and in the organization as a whole, quite naturally reduce sick leave through development of an unshakable robustness and a long-term level of well-being. In this talk Helen Eriksen identifies the psychological factors behind stress, and why we are often much too slow in recognizing stress. Despite the serious nature of the talk Helen succeeds in delivering a humorous and uplifting message, which motivates the participants to take subsequent action. Helen starts with the circumstances and working conditions that the participants actually meet at their workplace. Her point of departure is that we cannot solve the challenges of the new paradigm with the basic assumptions of the old paradigm. In this context it is often the assumptions that create stress. Stress in itself is an expression of a healthy system, which reacts to increasingly strong warning signals by stating that there is a need for adjustment. Our ability to manage stress depends on how we interpret the warning signals in practice, and how aware we are of what they are actually trying to tell us. Often we just continue to do more of the same, which is when it all goes wrong. Stress prevention has to do with awareness of behaviour. Each of us needs to be aware of our behaviour, so we can act more consciously when we see the warning signals lighting up – both in ourselves and in others. “If I can’t manage this then I’m not as good as the others. I’m about to lose my grip. I can’t put up with it but the others can”. Such assumptions can cause cracks to appear in the employee’s professional identity and self-identification. Here, bringing awareness to the situation could make a big difference. Awareness of what it really is that is the cause and effect, what needs to be adjusted internally and externally to oneself. Many people are not conscious of these things and they therefore end up in negative spirals where they continue to do more of the same. Among other topics, the talk gives action-orientated answers to questions like:* Why is it so difficult to admit to ourselves that we are stressed? * How do we create more well-being and increased quality of life? * What is the connection between the body and psyche in relation to stress? 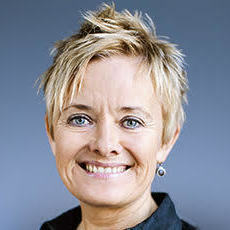 Back in 1994 Helen Eriksen personally experienced burnout from work-related stress, as a consequence of a huge workload. Experiences from that stress management process are reflected in the practical nature of the talk. In this talk Helen Eriksen focuses on our fantastic brain and the innumerable possibilities we have to develop it in a positive direction. Forget all about tough theoretical brain concepts – and enjoy a clarity that anyone can understand!. A broader neural highway can give employees an incredible number of benefits. From increased day-to-day well-being to better physical health in the short and long term. At the same time we know today that brain-body cooperation means everything for the well-being and job satisfaction of employees. For many years we have primarily focused on the parts of the brain that develop the logical-mathematical intelligence and the linguistic intelligence. One could say that this has turned us into “half-brains”. In her talk Helen Eriksen provides concrete mental and physical tools, which immediately encourage development towards a more whole brain. During the talk Helen also gives clear insight into the following:* How, in concrete terms, we can challenge the brain and expand the brain’s capacity. * How our unconscious is actually far more dominant than our conscious mind. * The brain’s direct and indirect influence on the wellbeing of employees. * The difference between women’s and men’s brains in relation to wellbeing, cooperation and intimate relationships.